The Hanoi People’s Committee has announced it is embarking on an advertising campaign with CNN, the 10th largest network in the US in terms of viewership with 1.2 million daily prime time viewers. In terms of viewership by the age group of adults 18-49 the CNN network is ranked 17th in the US with an average of 373,000 daily viewers. Outside of the US, CNN is ranked as one of the largest news networks, with its primary viewership in Asia. The long-term strategic campaign to promote the natural beauty and people of Hanoi, said Ngo Van Quy, vice chair of the committee, will begin this spring with digital advertising on the CNN news travel section. This digital activity will be followed by integrated advertising across the CNN International network including two bespoke 30 second spot adverts to run on-air and online. 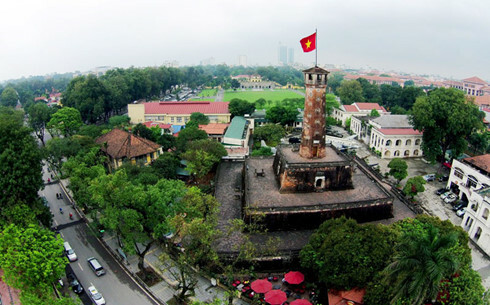 The advertising creative across digital and spot ads is focused on Hanoi’s promotion as a travel destination, reconnecting the CNN premium international audience with the city’s appeal to tourists.